The Police in Benue State yesterday confirmed the recovery of more bodies totaling 10 from communities which came under gunmen’s attack in Gwer West Local Government Area of the state. 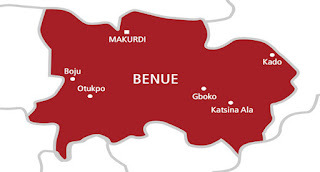 At least four communities of Mbapupuu, Mbapa, Mbachhphon and Enger all in Agagbe District of the local government had come under attack in the early hours of Thursday. The State Commissioner of Police, Fatai Owoseni, had earlier confirmed two persons killed by suspected bandits believed to have fled Zamfara State and other neighbouring countries at the wake of security offensives against them. Owoseni however said yesterday that eight bodies were found in the bush around Tse-Adudu and Enger villages in addition to the two that were earlier removed from the same area. According to him, security operations in the affected areas and other communities in the state have been stepped up with reinforcement of the Police Special Forces on Counter Insurgency to curb the criminal activities of the armed marauders.